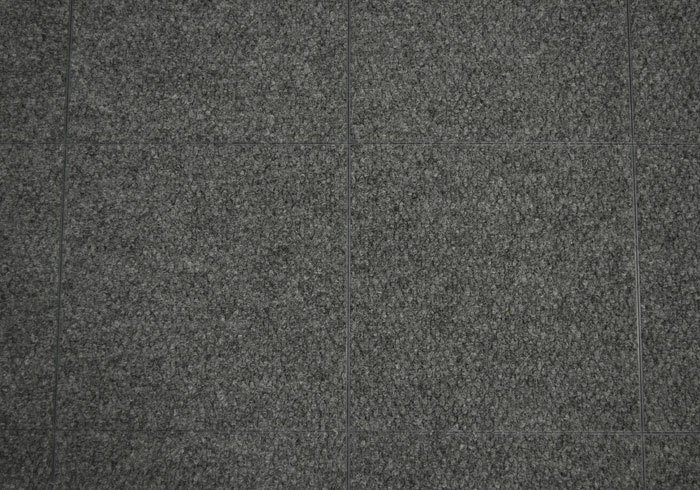 ThermalDry® Carpeted Floor Tiles are provided as 1' x 1' floor tiles. 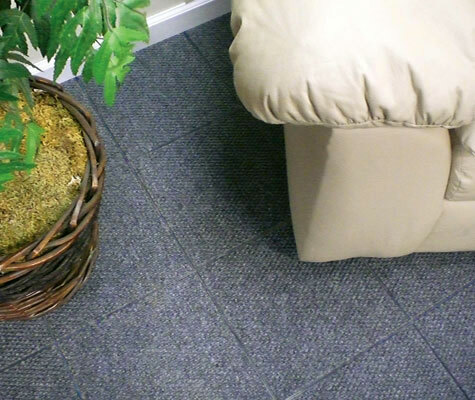 Each tile rests on a plastic peg subfloor base, with a carpeted surface. 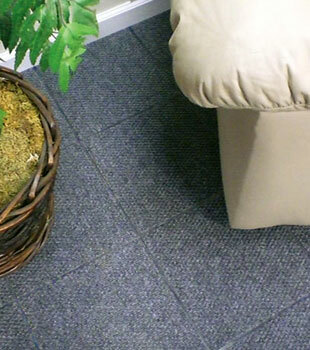 Like our other ThermalDry® Floor Tiles, these durable, carpeted tiles are 100% waterproof. They can also be mixed and matched with our other tiled floorings for a custom design. We have nine different flooring options that can be combined to create almost any basement floor design you can imagine! To learn more about how we can finish your basement floor, contact us online or by phone today! Our dealers provide free, no-obligation basement floor finishing quotes for homeowners throughout Canada, the United States, the United Kingdom! 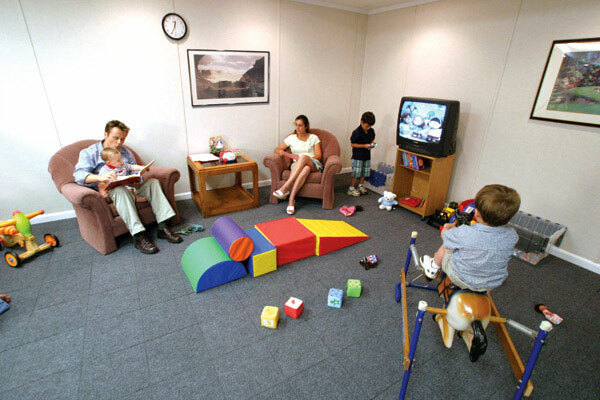 ThermalDry® Carpeted Tiles are durable, warm, and stain resistant -- making them a perfect option for a children's play area. If one tile is worn or damaged, it can quickly and easily be removed and replaced by even a novice homeowner. Traditional carpeted flooring requires a wood sub floor to be designed. This floor takes up valuable head room in the basement, and, over time, can be damaged by moisture from the concrete slab below. Our innovative floor tiles rest on raised plastic pegs, creating an air space below that prevents water vapor from being trapped underneath your floor. 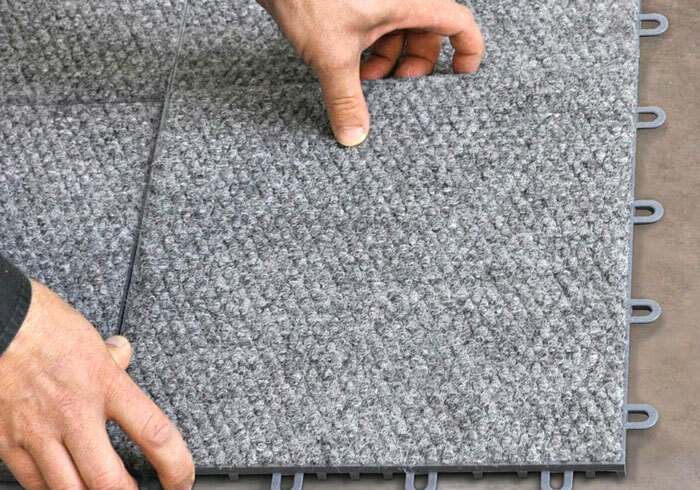 The raised pegs also create a thermal break between your carpet and the cold concrete below -- for a warmer, more comfortable surface under your feet. For a customized look, mix and match our carpeted tiles with our parquet and stone-design tiles. Each tile can interlock seamlessly with one another! 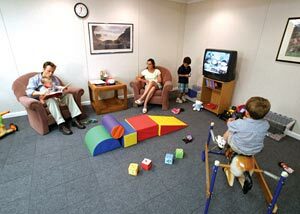 Many homeowners will finish a bathroom floor with our tiled or parquet flooring, while using our carpeted tiles to finish a children's area or living room. 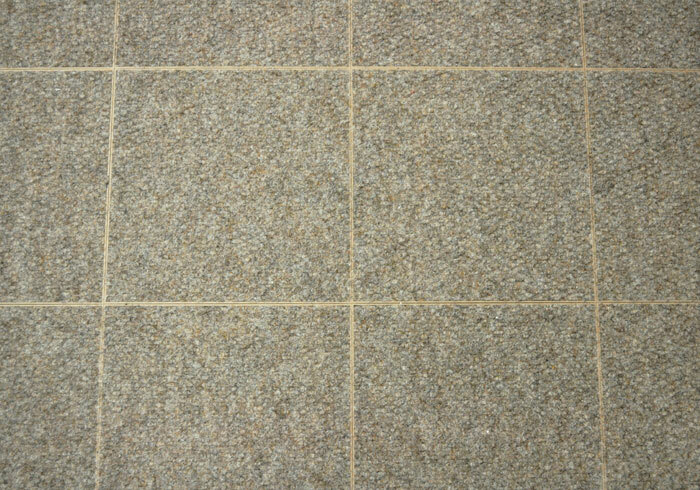 We Can Finish Your Basement Floor With Our Carpeted Tile System! With no adhesives or grout to cure, and no separate sub floor to install, we can install a complete ThermalDry® Carpeted Floor System quickly -- usually in less than two days. Once installed, our warrantied system will add beauty, warmth, and value to your home for many years to come. Meet with a local authorized Basement Systems Dealer to learn more about our innovative floor finishing products! Contact us by phone or e-mail today, and we'll set up an appointment with you for a free basement floor finishing quote! Each free quote includes an on-site, professional consultation and measurement. We'll answer any questions you have, and provide you with a written cost quote for the customized plan we create with you. Before the day of your free quote, you'll also receive a mailed, complimentary copy of our full-color basement book! The Basement Systems Network operates throughout Canada, the United States, Ireland, and the United Kingdom. There's a certified dealer in your neighborhood that's ready to serve you!